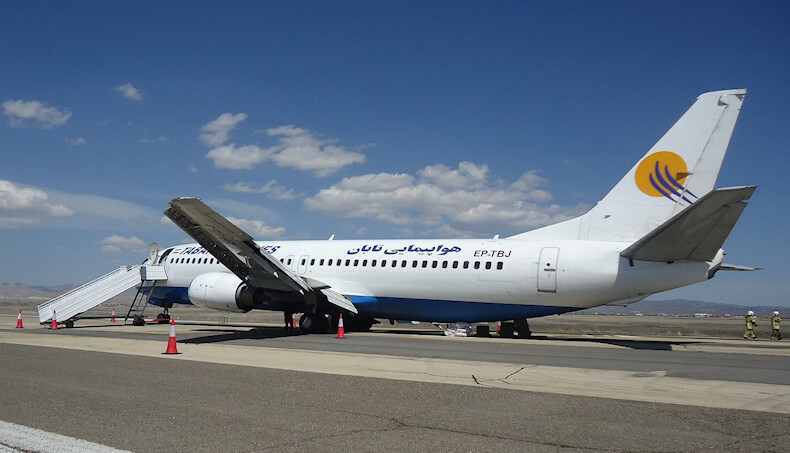 27 Mar 2017 - 737-400, EP-TBJ (28202 / 3009), FF 02/03/1998, operated by Taban Airlines right-hand main landing-gear failed whilst landing on Runway 33 at Ardabil airport (OITL), in northern Iran at 05:33z following an unstable approach. The Iranian CAO issued their final report in Jan 2018 in Farsi. It states that the main cause of the accident was a technical failure in the shimmy damper of the right main landing gear. Failure to comply with SOPs by the pilot. Lack of technical oversight and non-compliance with manufacturer's recommendations and neglect of manufacturer's documentation. Design weakness in the landing gear, in particular shimmy damper system and metallurgy causing a weak torsion link piece. The weakness of the quality control unit of Taban Airlines maintenance. The Captain was PF for the incident flight. Age 46, 5600hrs TT, including 2200hrs on the 737. Both pilots were from Tajikistan. There was also an observer pilot on the jumpseat. On departure from Mashad the crew left the gear down for 6 minutes after take-off and retracted it at 279Kts / 17,770ft. The limit speed for gear retraction is 235kts. The crew operated the flight at FL300. The aircraft was not certified for operation in RVSM airspace. At Ardebil the crew conducted a high speed ILS to runway 33. The surface wind was 200/17 and increasing. The landing was overweight by over 1000Kgs because the flight had been conducted at a higher than planned cruise level and hence the trip fuel was lower and arrival fuel higher. Flap 1 was selected at 240kts (limit is 250kts on a 737-400) and 13,630ft (9460ft aal). The aircraft crossed the final approach fix with flap 5 at 219 KIAS but should have crossed at or below 185 KIAS. The EGPWS "Sink Rate" sounded for 23.5s during the final approach as the vertical speed was 1620fpm at 990ft aal. The aircraft crossed the runway threshold still at a speed higher than Vapp with a crab angle of 8 degrees due to crosswind. the aircraft touched down about 830 meters past the runway threshold at 1600 fpm rate of descent and about 2.06G left of the centreline with drift still applied. The pilot input on the rudder pedals caused shimmy vibrations, which the right hand main gear's shimmy damper failed to dampen. The torsion link fractured during the roll out as result of the vibrations causing the right main gear strut to fold. The aircraft continued for another 1450 meters on left main gear and right engine pod until the aircraft came to a stop on the runway. The aircraft was evacuated, one passenger received a minor injury as result of the evacuation. Four recommendations to the Iranian CAO including following Boeing recommendations; Airlines should ensure documentation is correct before flight; NOTAMs should be issued independently; Re-evaluate how to assess pilots during flight, particularly foreign pilots. 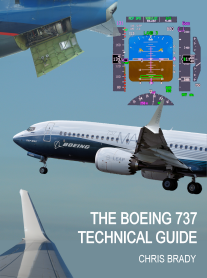 Two recommendations to the FAA including informing airlines about similar 737 accidents; Re-evaluate the manufacturing process for the torsion link. Four recommendations to the Airports and Air Navigation Services Company including improving their transparency of operation; have better provision for moving a disabled aircraft; ATC shoudl have better monitoring facilities; Improve the airport Emergency response Plan. Four recommendations for Taban Airlines: Improve the Maintenance documents before flight; Improve crew knowledge on the use of the loadsheet; Improve crew and despatchers knowledge on the use of the flightplan; Establish an Emergency Response Plan. SUMMARY: Boeing occasionally receives reports of broken torsion links and damaged shimmy damper pistons on 737-100 through -500 airplanes. These events have been attributed to excessive wear or looseness in the main landing gear torsion link apex joint. This looseness can make the shimmy damper ineffective and may allow a shimmy event to occur. Recently, there has been an increase in shimmy events that can be attributed to 737 -100 through -500 operators who may be unaware of the importance of the recommended MLG damper maintenance practices. This service letter is provided to advise operators of recommended maintenance practices to prevent main landing gear torsion link and shimmy damper piston fractures. BACKGROUND: The shimmy damper is installed at the main landing gear torsion link apex joint and is intended to hydraulically dampen out resonant oscillations in the gear that could otherwise lead to a shimmy event. Periodic adjustments are required to compensate for normal wear and prevent excessive looseness in the apex joint. 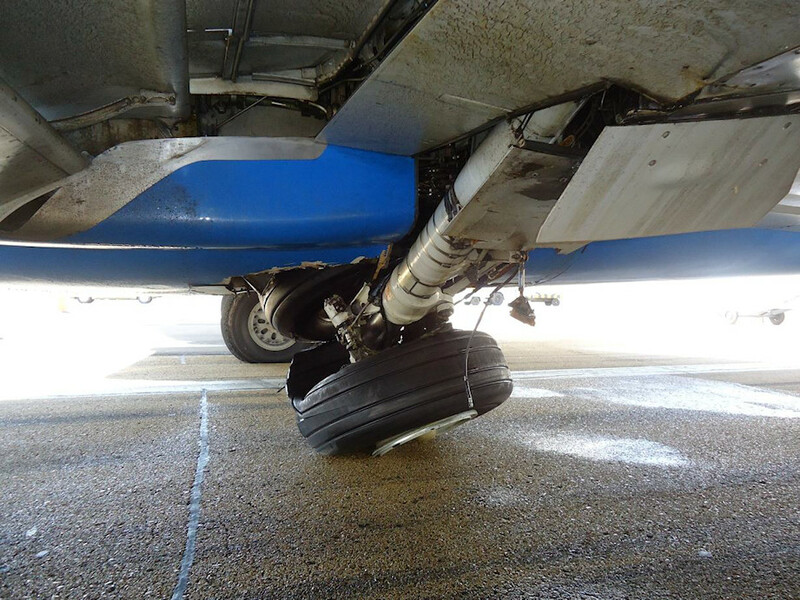 Operators have reported numerous main landing gear shimmy events and torsion link fractures on model 737-100 through -500 airplanes. Typically, the torsion link fractures by ductile overload across the larger of the two lightening holes. In some cases, the shimmy damper piston also fractures. An investigation of several fractures determined that excessive play was present at the torsion link apex joint, rendering the shimmy dampers ineffective. In some other cases, the investigation determined the shimmy event was caused by insufficient bleeding of the damper after the damper or the landing gear was installed. Air within the damper will reduce its effectiveness. Loss of proper damping resulted in torsion link loads in excess of design, followed by ductile fracture. Proper damping may also be affected by excessively worn or an improper Apex Torsion Link Washer. The reference (i) Apex Torsional Link Thrust Washer, P/N 69-54358-2, helps transfer torsional energy to the damper shaft for the shimmy damper to dissipate. If the thrust washer is not per the design dimension tolerances, freeplay may exist. This can inhibit the energy transfer to the damper, resulting in dynamic forces which may escalate into a shimmy event. The upper and lower torsion link lugs on the inner and outer cylinders and their attach points are also subject to wear on the bushing inner diameters and flange faces. Regularly scheduled maintenance is necessary to ensure that the torsion link joints remain within serviceable wear limits, and the torsional free play is within limits.